See above calendar for holidays. If you start mid session, you only pay for the remaining classes in that session. Quantity Tank , T, or Polo? What Size For Each Shirt? 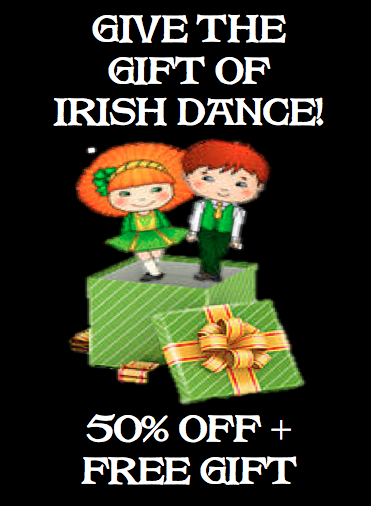 At the McNulty School, we know you'll love learning Irish dance just as much as we love passing down this beautiful tradition. 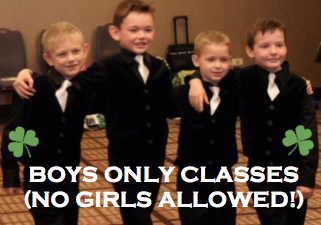 That is why we invite you to try out any new class for the first time, totally FREE! We offer 30 minute pre-school, mommy & me, boys only, and heavy shoe classes, as well as 45 minute youth, teen, and adult soft shoe lessons. 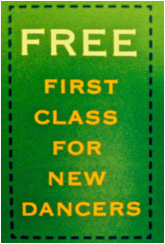 Fill out the "First Class FREE" form on the home page to learn more and take advantage of this special offer! 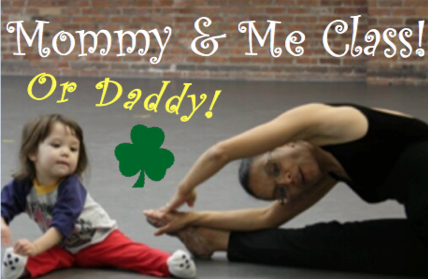 Thank you for joining the McNulty Family! You will soon receive a welcome email with waiver to bring the first day of class. Submit your payment online using the secure PayPal button below. 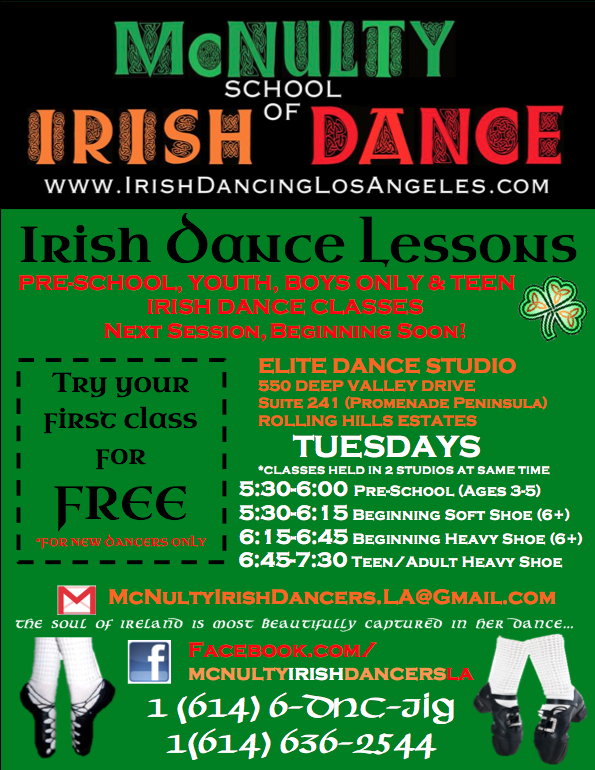 You may email McNultyIrishDancers.LA@gmail.com to sign up for email invoices, or you may bring a check to class. Proceed to STORE page to purchase required class attire. Only a black McNulty tank or t-shirt is required, all other spirit wear is optional. Dancers must wear all black to class.